Being a part of the gaming media has certain benefits, and certain problems. One of the good things is that you get to go to conventions and try out games that are way out on the horizon. One of the bad things is that, once the convention packs up shop, those games are still way out on the horizon, and you just got a taste. 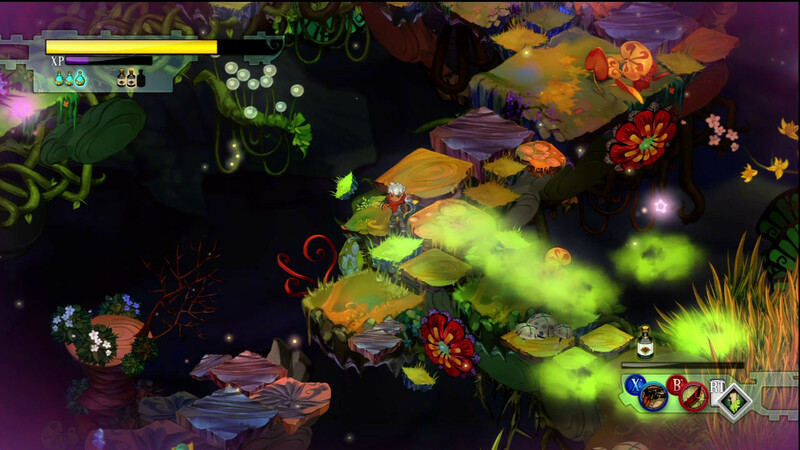 Such is the case with Bastion, the first game in this year’s Summer of Arcade. 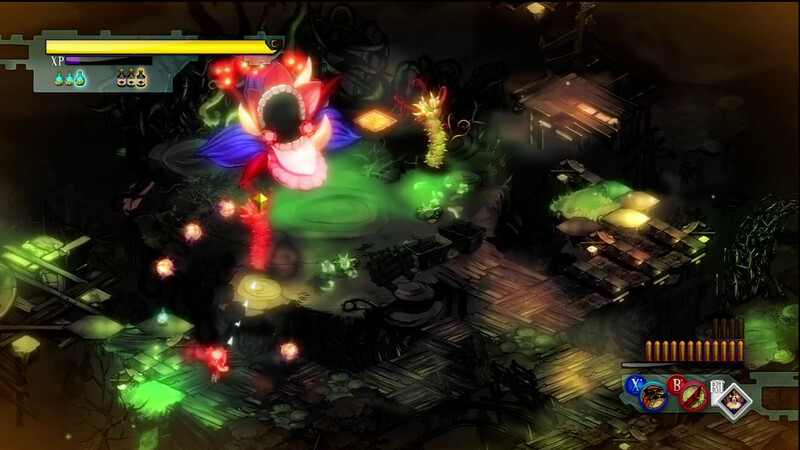 We got to try out this little gem for a few tantalizing minutes on the show floor, and have been waiting impatiently for Supergiant and Warner Brothers to deliver it to us ever since. Finally the day came, so let’s see if it was worth the wait. Sometimes memories are washed out, but sometimes they are more vivid than reality. 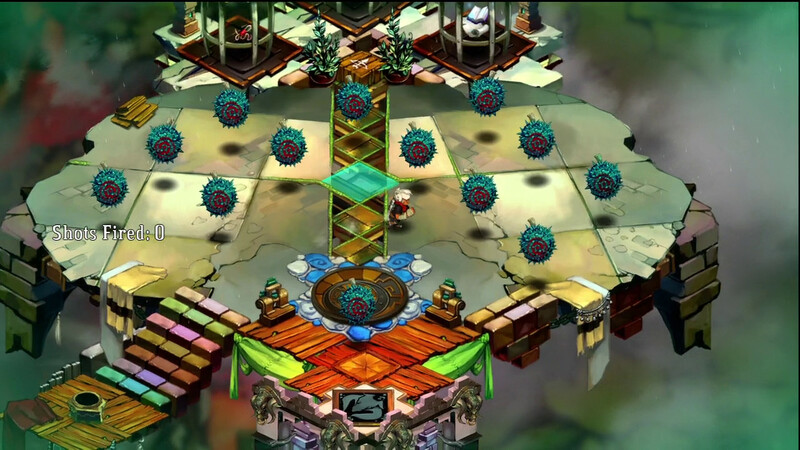 The visuals of Bastion are potentially its weakest feature. Considering the fact that they are gorgeous and striking, that should give you a pretty good idea of how this review is going to go. 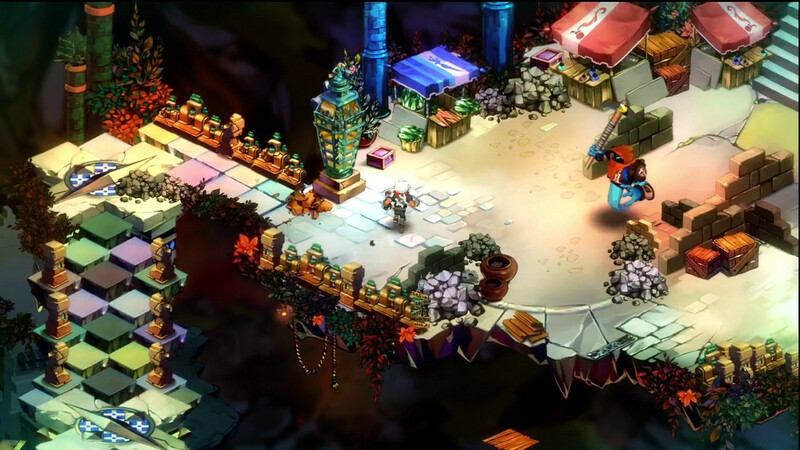 Characters and environments are a mix of 3D and sprites, both of which are rendered with exquisite care, producing an almost hand-painted look. That goes double for the cut scene images, too. Characters have a stylized look to them with cartoon proportions. Individual characters are rare, meaning that those few that we see are distinctive. 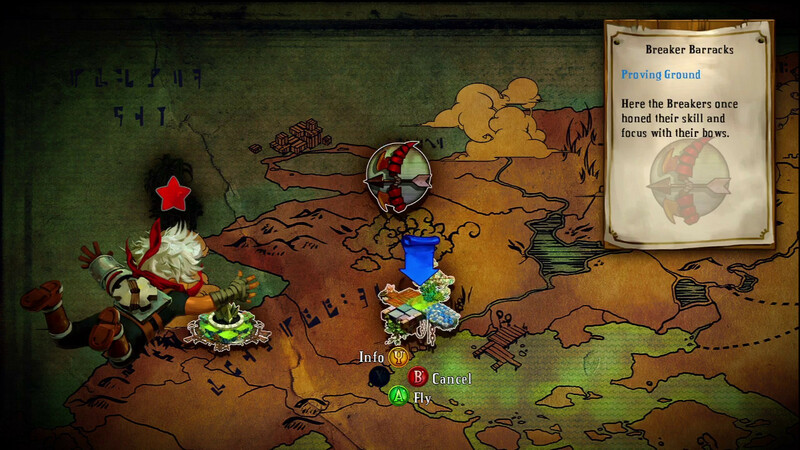 The player character, The Kid, is decked out in peculiar warrior’s garb, a gear (the city crest) strapped to his back and a head full of pure white hair. Other characters have vaguely Eastern garb or other outfits befitting their place of origin within the setting. There is a respectable variety of creatures, and even those that look similar to each other are given plot specific reasons to appear so. Their designs are extremely alien and fantastic (fantastic in this case meaning “fantasy inspired” rather than “of exceptional quality,” though they are that too), with bloated, puss flinging scumbags, genie-esque windfellas, and shrimpy squirts showing up early. They are joined by massive subterranean alligators, angry mechanical idols, and a host of other bizarre oddities. You bloated sack of protoplasm! The environments, and specifically the means in which they are revealed, are extremely unique. You see, as you will learn in the story section, there has been a disaster that eliminated most of the landscape. You start each level on a patch of floating ground, and as you progress the land rises up to meet you, brick by brick, plank by plank. 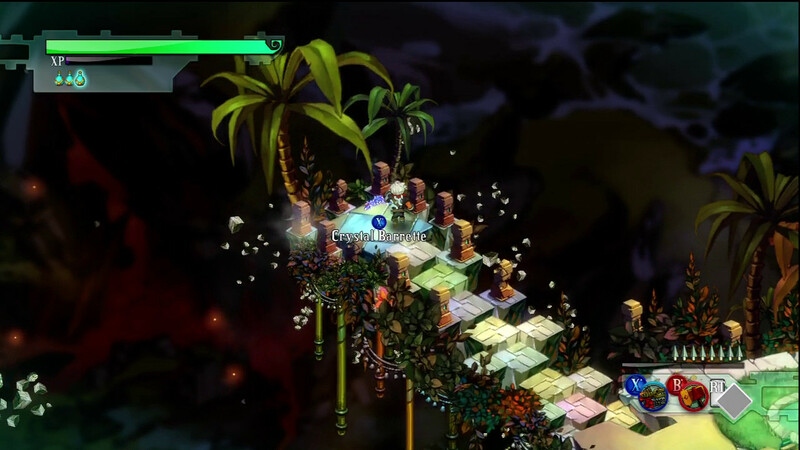 It produces a great visual effect, particularly in levels that require you to make a quick escape. Sprinting along a pathway that is building itself in front of you and crumbling away behind you is just as exciting and impressive looking as it sounds. The settings vary from cluttered former markets to barges, jungles to railways, and everything in between. 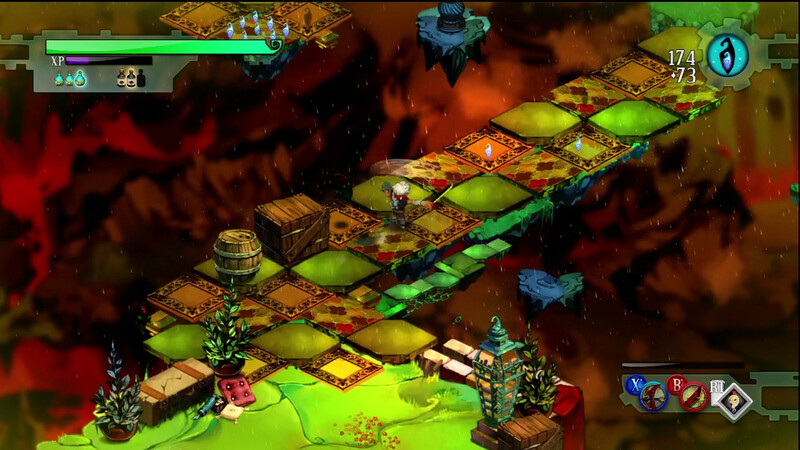 They do a great job of making the levels appear devastated even after you’ve taken the time to fully explore them, conjuring up each missing piece. The completed lands still have chains and paving stones frozen in the act of peeling and dropping away, bits of flora floating mysteriously beyond the stretch of land. In terms of technical quality, the visuals are pretty good as well. Seldom do I feel lost, and on those rare occasions that I do, a big blue arrow usually drops down to show me the item I’d neglected to interact with. Here and there the complexity of the scenes, combined with the isometric point of view makes things a bit tricky, such as telling when a projectile is just the right distance away to counter-block, or when a path is part of the background rather than the foreground, causing you to fall, but you quickly develop an eye for such things, and the more I think about them, the more I think such things were intentional pieces of gameplay, meant to keep you on your toes. 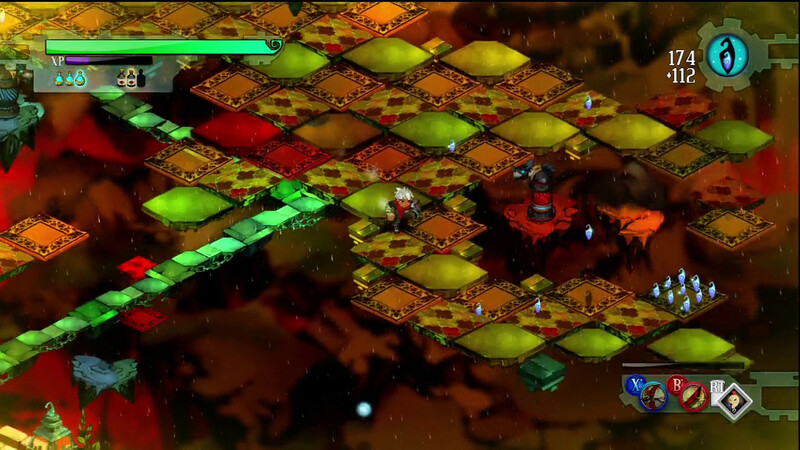 Speaking of gameplay, I found this game to be extremely additive. It is broken into discrete levels, with a return to a hub – the eponymous Bastion – happening between each one. 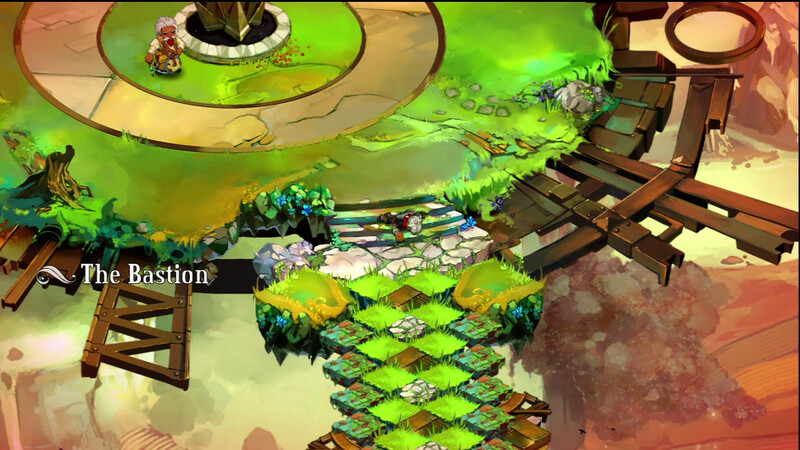 You take expeditions from this place to search for powerful crystals that, when applied to the Bastion, can help it to grow stronger and rebuild. It starts of extremely sparse, but as you progress you will be able to build up the area, selecting buildings to construct. Since each building represents a different way to upgrade and equip your character, these selections aren’t simply cosmetic, and speak volumes of the depth of the game. 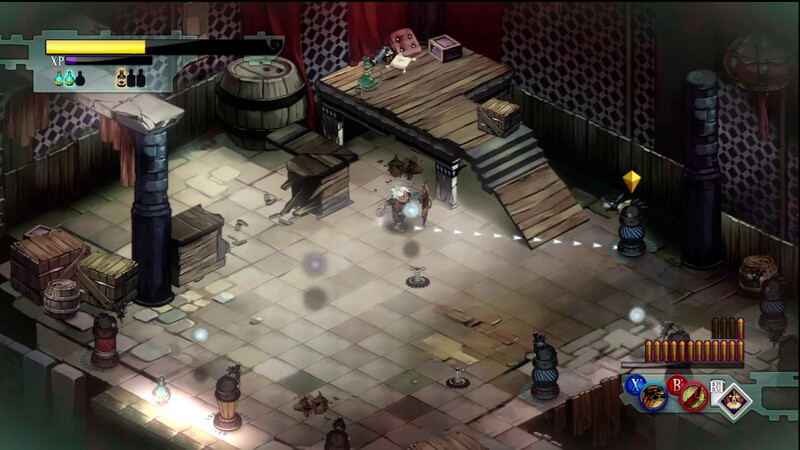 The spirits (as in liquor, not ghosts) found in one building will give you passive upgrades. Some will have simple effects, such as giving you more health, while others will do bizarre things like helping you to attract the game’s currency from a greater distance. There is an upgrade facility that let’s you use found resources to improve your weapons, unlocking up to five tiers of upgrades. Each tier has two options, so each individual weapon can have 32 different configurations. An arsenal is required to change your weapons. A lost and found acts as a market. 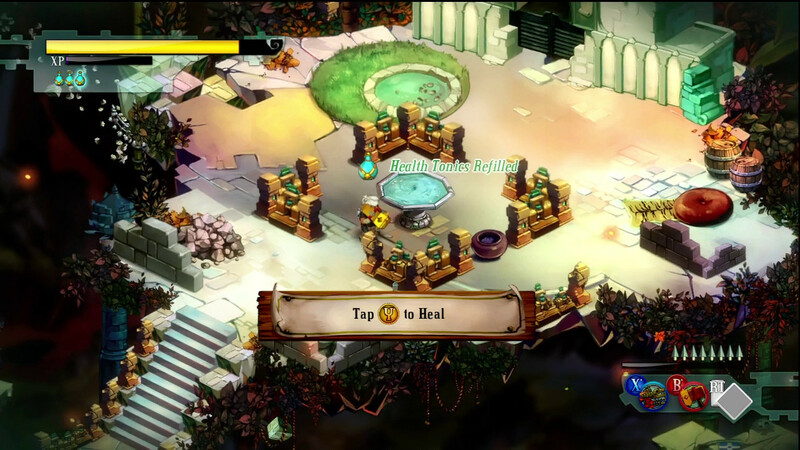 There is a shrine that is used to fine tune the difficulty of the game, making it more difficult in exchange for greater rewards of both money and experience. There is even a memorial which acts as a sort of in-game achievement system, except they reward you with cash instead of measly gamerscore. It ain't much, but it's home. Now that you know how useful it is to spruce up your precious stronghold, you might be wondering how to do it. 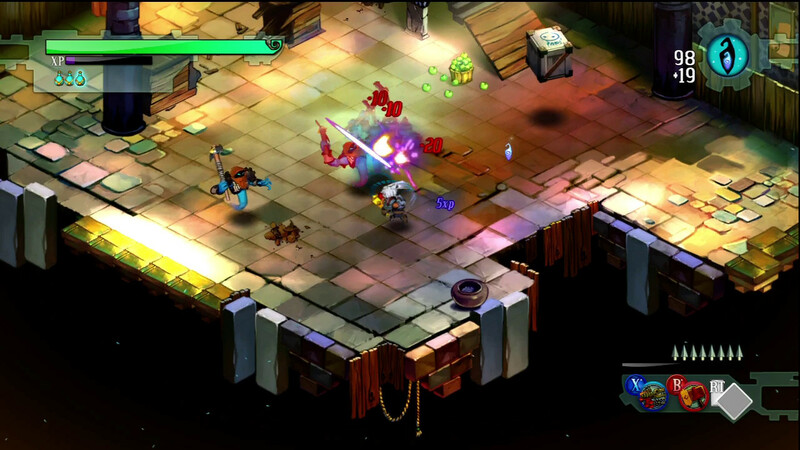 Well, like many games, your character is mostly interested in gathering powerful artifacts. 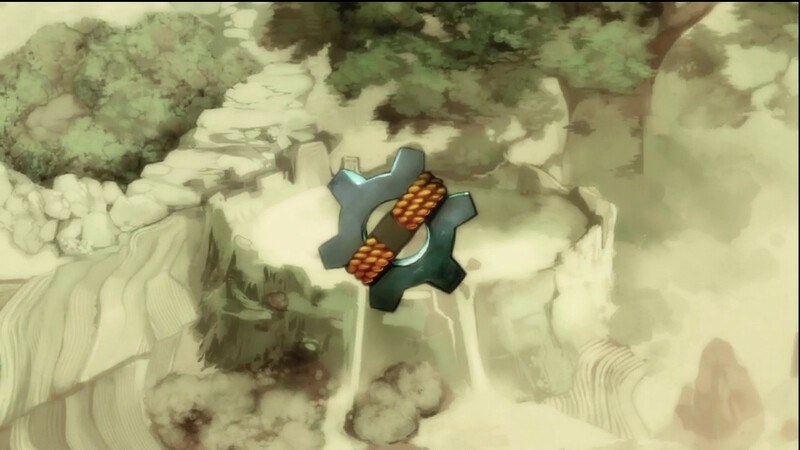 First cores, then shards, you are perpetually scouring the broken land for these powerful crystals, each one either unlocking or upgrading the individual elements of the bastion. You can also find mementos that will be placed here and there, some of which have gameplay uses, such as unlocking as combination back story/training ground. As you find other survivors, they can be found here too, and each will have their own thoughts about the mementos you find. The means through which you fight your way through what remains of your world vary just as greatly as every other part of this game. You are given three weapon slots, two for standard weapons and one for a special technique. To keep your health up, you are able to carry tonics, which can be found or refilled at fountains, and black tonics, which are also found, and power those techniques of yours. If you aren’t fast enough with the tonics, or run out, you’ll also get a chance to resurrect in place by using up one of a handful of tries that you get for each level. 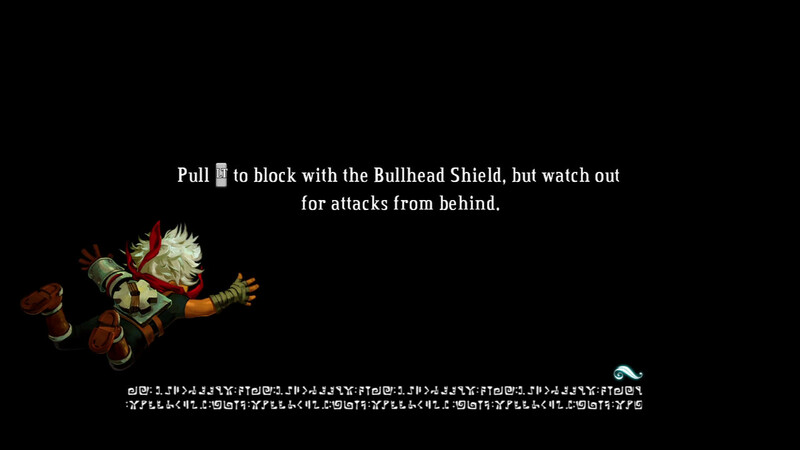 One of the most key elements of the game is the shield, which plays a far more important and nuanced role than the standard block and deflect. For one thing, it will only protect one side of you, so making sure to keep your threats from sneaking up behind you is crucial. Also, waiting to raise your shield until the instant before it is needed will let you do a counter-block, which damages or stuns the enemy, and frequently is the quickest and most efficient way to dispatch certain foes. The standard weapons cover a wide range. There are genre staples like the bow and arrow, crossbow, hammer, and sword (in this case a machete) but you also get pistols, a rifle, and a blunderbuss, to name just a few. These weapons all have extremely unique behaviors, and frequently include a method to maximize damage if used correctly. 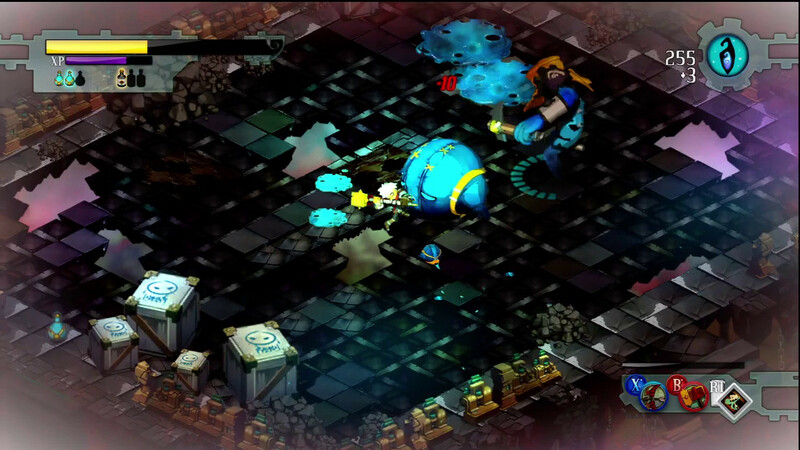 Thrown or fired weapons have a charge that will produce a power shot if released at just the right time. Rapid fire weapons can often be fired more quickly by tapping the button, and task you with timing your reloads efficiently. 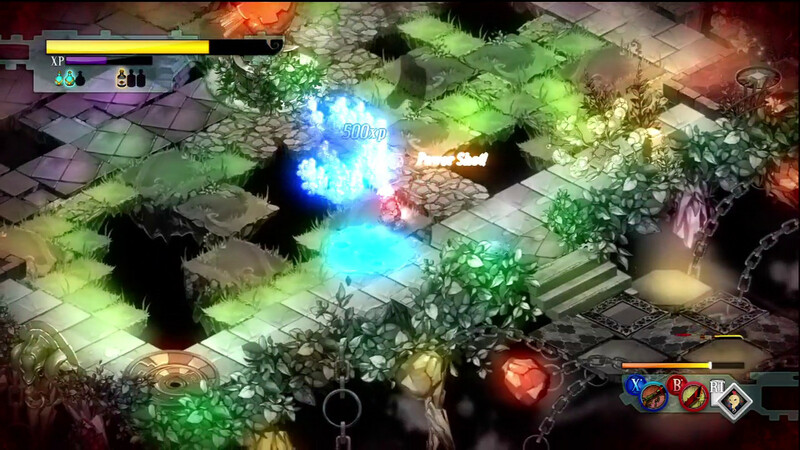 Special techniques, like the weapons, can be as conventional as a spinning hammer attack, but they can also a take a more strategic route, such as creating a decoy or summoning a familiar. When in doubt, there’s always the grenade option, too. 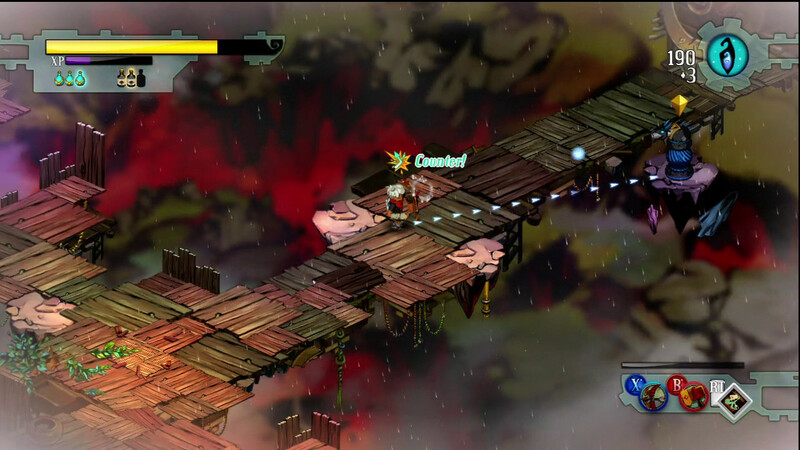 The combat is fun and fast paced, and takes full advantage of the bizarre setting. 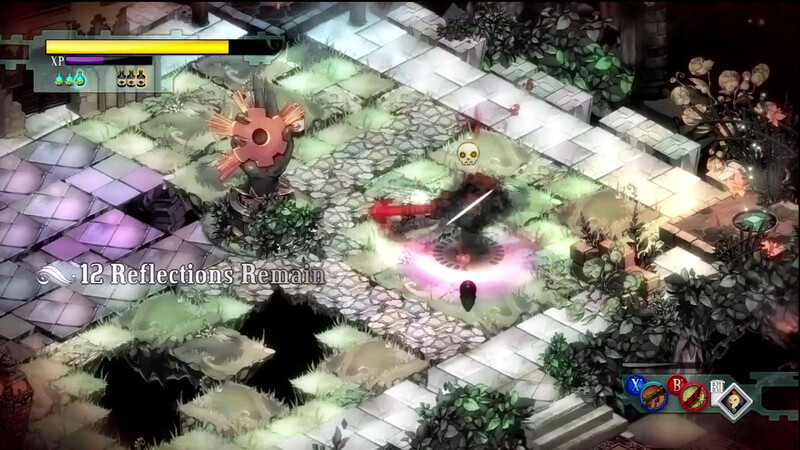 Weapons with knockback can launch foes off of the edge. At the same time, a careless evasion roll or choice of attack on a narrow walkway can do the same to you. If you are like me, you will find yourself using each and every new weapon, and trying to find fun new ways to combine them. 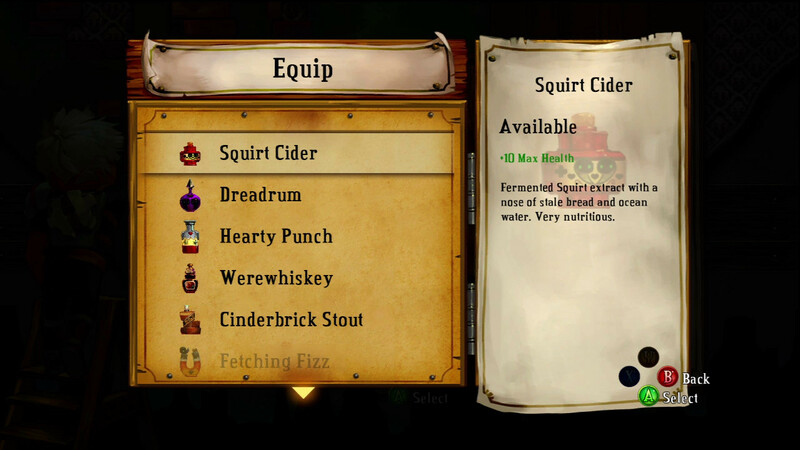 As you progress, you’ll start to learn how to combine the passive upgrades from the distillery with special techniques and weapons to do things like hurl yourself into the air and drop down for double damage. The level of nuance and customization is frankly mind boggling. I can foresee giving this game more than one play, just to see what sort of crazy stunts the fully leveled Kid can pull off. The sound… oh, the sound. Yes, the sound effects are good. They let you know what threats are around you and what attacks are on the way. And yes, the music is good. The combat music is extremely fitting, and when you find an actual musician you are treated to a haunting melody that sets the tone of the story flawlessly. My favorite thing, though, and the thing that you will no doubt hear the most about when learning about this game, is the narrator. The smokey voiced man handles every piece of story telling, every piece of dialogue, every piece of tutorial, and every joke. That may sound like you would get tired of listening to him, but play the game for a bit, and you’ll see why that is not so. For one, the guy never seems to repeat himself. Each level has its own collection of comments not just tracing out the path and describing the history and dangers of the surroundings, but describing the things you do, and the things that happen to you. Fall off the edge on one level and you’ll get a joke about how you fell to your death. Fall on another level and you’ll learn that the rotten wood of the swampy path is treacherous. Fall elsewhere and you’ll learn how many men lost their lives by not watching their step on the barge. If you destroy things you didn’t have to, attack enemies that hadn’t noticed you, or otherwise mess around, the narrator is right there to make comment. On the rare occasion that you try something enough times to make him repeat himself, he actually gets mad at YOU. There is a pipe you can smoke, and I found myself with plenty of good reasons to take a few extra puffs. After three unique descriptions of the results of doing so, he told me with irritation that he didn’t want to hear me ask about that pipe anymore. It was great, because it not only lampshaded the repetition, but it reminds you that everything you see, hear, or do is a part of a story that he is telling you. The other reason I didn’t get tired of the narration was the phenomenal job that the narrator did. Do yourself a favor, go turn on The Big Lebowski and listen to the great Sam Elliot begin to tell you the tale about the dude and his adventures, and you’ll understand the easy, sage, campfire quality to the narration. I’d frankly be astounded if The Big Lebowski wasn’t in fact the inspiration for the character, considering the similarity of the performance and the fact that the characters at least initially share the same name, The Stranger. The Kid, character toughened by hardship and hard work, awakes one day to find that the world has vanished, leaving behind only drifting chunks of its former glory. He sets out on a quest to find out what happened, and what do about it. The voice that guides him is the same one that guides you. As you progress through the game elements of the disaster that swept away your land will steadily be uncovered. There will be friends found, betrayals, victories and setbacks. The story is a good one, but better than the tale is the way that it is revealed. The aforementioned narrator does an excellent job of establishing both his own character and that of The Kid. Things begin simple, not bothering to heap any extra detail where it isn’t needed, because your story teller is a practical man who won’t say something that doesn’t need to be said. Thus, you are simply The Kid, he is simply The Stranger, and the event that destroyed your world is simply the calamity. As you encounter new things, though, a massive back story and a detailed world begins to paint itself with his words. The creatures and plants you are a finding all have names and behaviors. 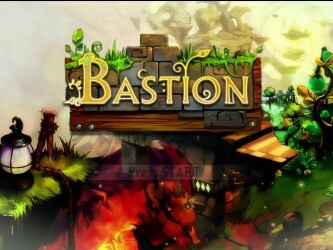 Where another game might do the boss the favor of giving it a name, Bastion gives it a whole legend that will unfold as you chase it through the level. This isn’t just a set of rails, it is the very construction that started a great war. That isn’t just a monster, that’s Queen Anne, an ankle gator, a species long thought extinct. Everywhere you look there is simplicity layered upon complexity. 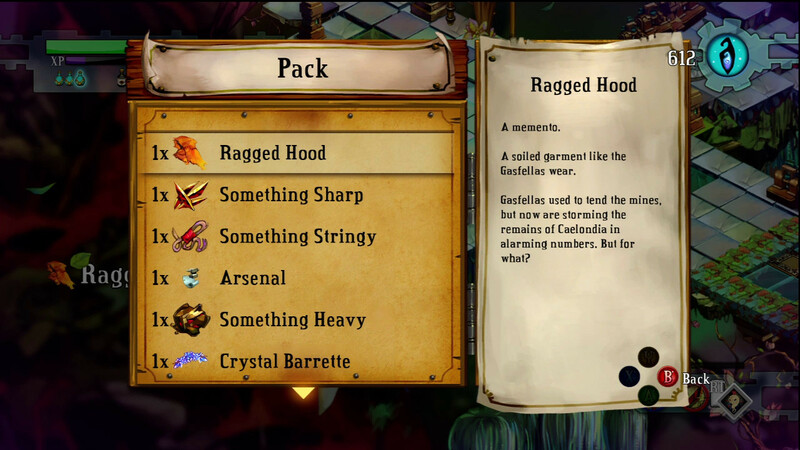 Upgrade items get names like “Something Heavy” or “Something Nasty” but flavor text and comments by the narrator will teach you that they are precious metals that serve as the primary diet of some of your enemies, or sharpened bones favored by trappers. In a way, the story matches everything else about the game. It is as simple or complex as you want it to be. 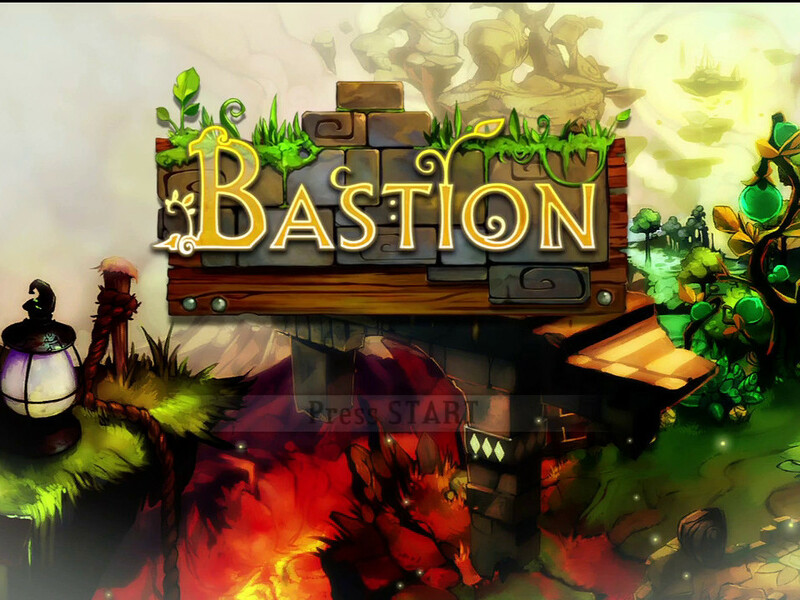 Bastion is an example of how care, polish, and nuance can be applied to every aspect of a game. It illustrates how “The whole is greater than the sum of its parts” has a lot more impact if the parts are spectacular to start with. 10 / 10: A triumph of storytelling, and exceptionally fun and detailed.